So good friends, I am very exited to announce that we will build our very first Kin's Domain in our village! Building works will start on 04.07 and will end 20.08.2014. It will be the straw bale house with QEG generator installed(more information on this subject to come) and adopted for full year food growing with rain water collecting and recycling. 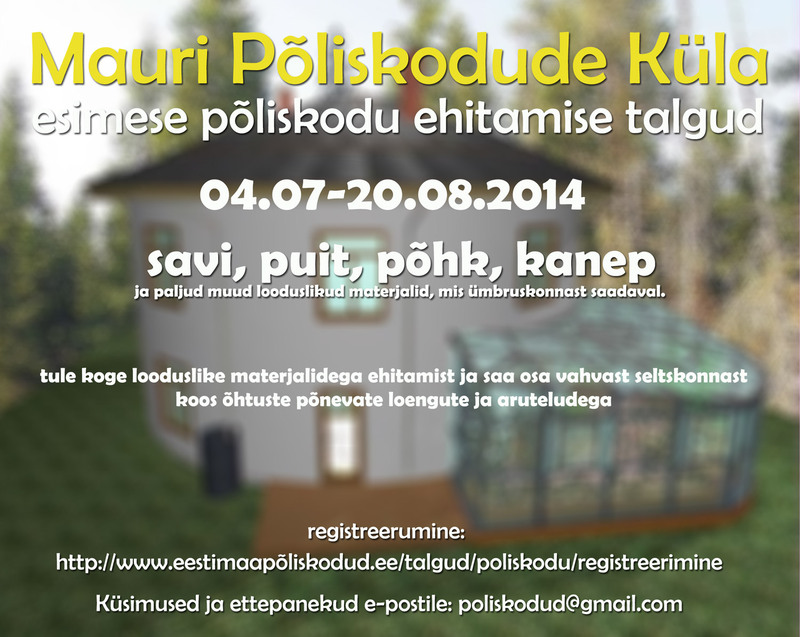 So we will meet here in southern Estonia, in the Misso parish and have a great time in working and learning together. If you are planning attend the building of Kin's domain in Mauri(Estonia), please fill the form below, so we can plan the work, tools and the food. All participants will have an oportunity to attend on 5 evnings from 07.07-11.07, in a test lectures on subjects as Low rise planet movement, Unconditional income and other interesting subjects. The lectures will be held in estonian language. Please take with you all necessary stuff for camping, as tent, sleeping bag, mug, and plate. If you need a ride, please let us know about it in the registration form.